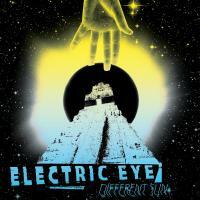 Titre(s) Different sun / Electric Eye, ens. voc. & instr. Contient Silent by the river. - All of this has happened before and will happen again. - Mercury rise. - Bless. - Heavy steps on desert floor. - Never fade away. - Part one.